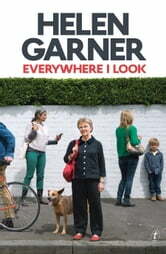 Helen Garner is an award-winning author of novels, stories, screenplays and works of non-fiction. In 2006 she received the inaugural Melbourne Prize for Literature. Her novel The Spare Room, published in 2008, won the Victorian Premier’s Literary Award for Fiction, the Queensland Premier’s Award for Fiction and the Barbara Jefferis Award, and has been translated into many languages. ‘Her writing is elegant and spare, the kind of writing that leaves you wrecked at the end. It’s what makes me feel like I’m peeking in her diary when I read the most personal entries in this collection.’ Pop.Edit.Lit. Great writing in some pieces but a rather arrogant act to make a book out of previously published stories. Cohesion was lost for me. Garner has an elegance with language that is rare and a delight to read. Love every minute of this collection.